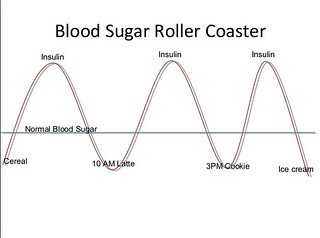 See two ways to avoid the blood sugar – insulin roller coaster that can make us fat. Western holidays almost look designed to encourage a blood sugar – insulin roller-coaster. Fattening foods of all sorts are thrown at all of us for over a month. After starting the New Year with a great resolution to get our eating under control and trim up, Valentine’s Day comes along loaded with chocolates. There is a sense to this evolution. In times past food became scarce in the winter. Adding fat in the autumn helped carry us through to springtime when food once again began to grow. The good news is that in this day and age, most of us do not face a forced winter fast. The bad news is the added fat of last autumn! This weight is still hanging around when the warmer weather springs forth. Just in case we have had some eating discipline, the Easter Bunny brings more chocolate. Yesterday’s message looked at a simple and simply profound exercise to gain control of your weight. This exercise helps pump glucose to the brain and reduce demand carvings for high carb foods. However, if we choose not to use the exercise to cut back caloric intake, the effort will have been futile. There is one simple fact that cannot be ignored in weight control. 3,500 calories equals about one pound of fat. This would be exercise to burn 3,500 calories more than we take in to lose a pound or cut back 3,500 pounds of consumption. Is exercise the answer? Walking for pleasure burns 170 calories and hour or marching, rapidly, military style about 350 calories. Running at a mile per ten minute pace for a half hour and will burn 320 to 370 calories. The easier answer is cut 500 calories from our diet each day. We could lose about 1 pound a week (500 calories x 7 days = 3,500 calories). A one pound box of chocolate runs between 1250 and 2,000 calories. Why not express your love to your Valentine this year by not giving chocolates! 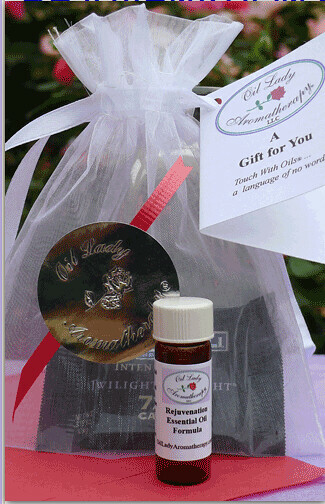 Give healthy essential oils as a Valentine’s gift of love. Our friend, Candace Newman, is offering Valentine Rose Otto Perfume. Aroma is the silent language of the heart and soul so Candace has created two holiday specials. One is her Rose Otto Rejuvenation Perfume. 1/7th oz bottle of Rose Otto Rejuvenation Perfume in amber glass bottle. This ancient and profound essential oil formula quickly became Candace’s signature perfume that she offers straight as an exquisite perfume, or with Organic Jojoba Oil as a rejuvenation face oil. This perfume is a blend of Sandalwood and Patchouli from India, Frankincense from Somalia, Geranium from Madagascar and Bulgarian Rose Otto essential oils. These oils are known historically for use in ultimate skin care, however the aromas have proven to help with anxiety relief and soothe the soul. What a pure simple way to express love through the deepest essence of roses! Click here for more details about Candace Newman’s Valentine Special Essential Oils. I love roses. Here are 100 we received this week for our home and our Super Thinking Spanish course. They arrived last night so I unpacked them and put them in water so I could prep this this morning. What a joy to come in for the morning “cuppa” and see all these fresh roses. 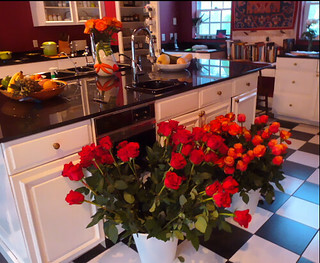 There are few items of beauty that can add so much in a home and fresh Ecuador roses are simply the best in the world. You can have 25, 50 or 100 Valentine roses delivered direct to your home or to your Valentine. Click here for details about Fresh Cut Ecuador Valentine Roses. Here’s a really extravagant Valentine’s gift, a trip to Ecuador!